James Robert Price Jr., 78, of Mt. 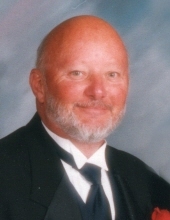 Pleasant passed away Sunday, February 10, 2019, at the Isabella County Medical Care Facility. His funeral will be celebrated at 12 p.m. Thursday, February 14, at Charles R. Lux Family Funeral Home with Father Don Henkes officiating. Immediately following, a luncheon will be held in Lincoln Reception Center (attached to the funeral home). The family will receive friends on Wednesday from 4-8 p.m. and on Thursday one hour prior to the service. He will be laid to rest in All Saints Cemetery, Waterford, in the spring. Memorial contributions may be made to Toys for Tots. Envelopes are available at the funeral home. Bob was born June 2, 1940, in Pontiac, Michigan, son of the late James R. Price Sr. and Mattie Lee (Deel) Cooper. When he was a teenager Bob worked with his father in Clarkston in the water well drilling business. After graduating from high school, he married Irene Zaha on April 15, 1961, in Clarkston. He became a tool and die maker for Fisher Body in Pontiac and in 1971 moved to Mt. Pleasant to, again, work with his father who had moved to Mt. Pleasant in the early 1960’s. Bob eventually became president of Independent Well Rig Supply, and also owned Price Mini Storage, working together with his wife and two sons. He absolutely loved cars, especially classic cars and NASCAR events. He attended just about any car show that was advertised. He enjoyed volunteering especially when it came to Mt. Pleasant sports where he helped maintain the ball fields or assisting on the chain gang during football games. He was a huge supporter of Toys for Tots often playing the role of Santa Claus. Sociable, dependable, and big hearted, Bob could make friends with anyone and there wasn’t anything he wouldn’t do for a friend. He is survived by his wife of 57 years, Irene; four children, Dianna Epple (Jerry Camp) of Sylvania, OH, James R. Price III of Lake Isabella, Dannette (Mike) Beltinck of Bloomfield Hills, and John Price of Mt. Pleasant; six grandchildren, Theresa (Jason) Frederick, Emily (Jeff) Halfmann, Jacob Epple (Chelsea Block), and Alex, Ben, and Isabel Beltinck; and three great grandchildren, Isaac and Ella Frederick and McKenna Halfmann. He was preceded in death by his parents; and brother, Richard Price. To send flowers or a remembrance gift to the family of James Robert Price, please visit our Tribute Store. "Email Address" would like to share the life celebration of James Robert Price. Click on the "link" to go to share a favorite memory or leave a condolence message for the family.